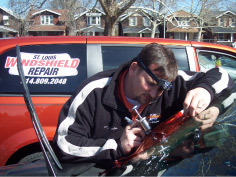 For years, St. Louis Windshield Repair, a St. Louis family owned and operated company, has been servicing the greater St. Louis area with pride. We guarantee our work, secure a * Lifetime Warranty, and will come to your home, office, or a designated location to service your vehicle. To schedule an appointment, please call us @ 314-809-2048 or fill out the form on the right hand side of this page with Year, Make, and Model and we will respond with a quote as soon as possible. 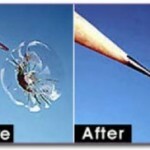 * Warranty is on the workmanship and installation of windshield. Not any future damage. Costs much less than windshield replacement. Saves time… the process is fast and can be performed while you wait. Accepted and endorsed by almost all insurance companies. Retains the windshield’s factory bond. Saves the environment and keeps non-recyclable laminated glass out of landfills. Provides a great looking result. We have a money back guarantee for the life of the repair. We’ll come to you for no additional charge. We offer extremely competitive pricing. We’re honest, trustworthy, and reliable. Call us, and we’ll show you why! OPEN ON SATURDAYS FOR YOUR CONVENIENCE.